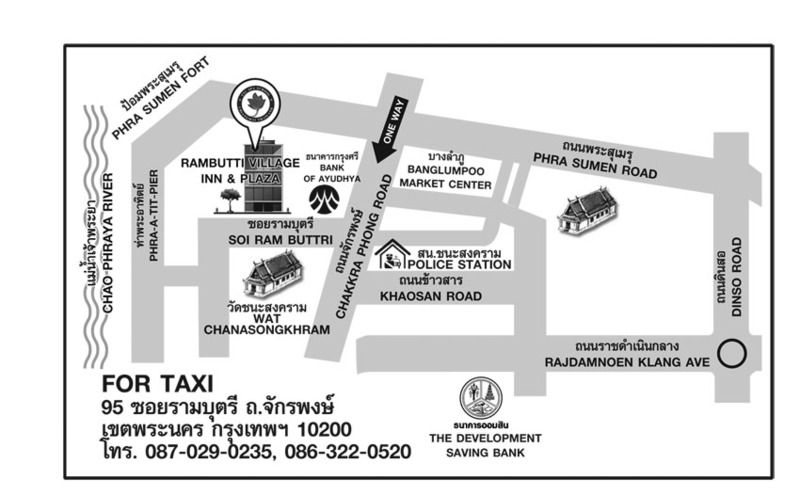 Ideally located a few minutes walk from the world famous Khao San Road and Thailand’s leading historical sites, places of tourism called “Rattanakosin Island”. 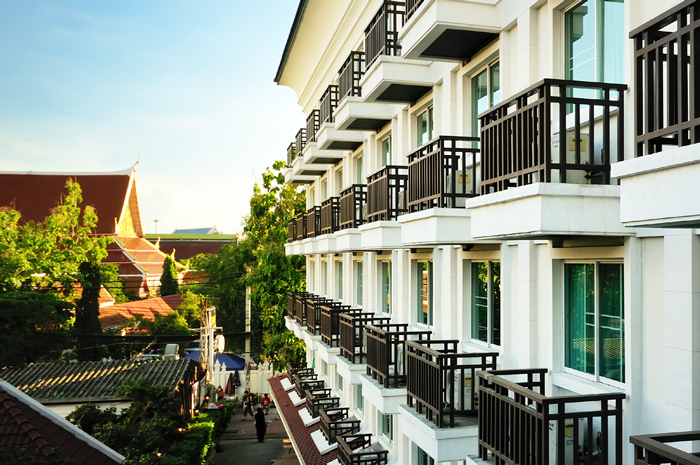 Rambuttri Village Inn & Plaza offers it’s guests a superb locationwhether your pleasure be shopping, entertaining, dinning or simply exploring Bangkok. One of the latest and most beautiful hotels in this area, Rambuttri Village Inn & Plaza has and enviable modern Oriental-style architecture and landscaped garden. 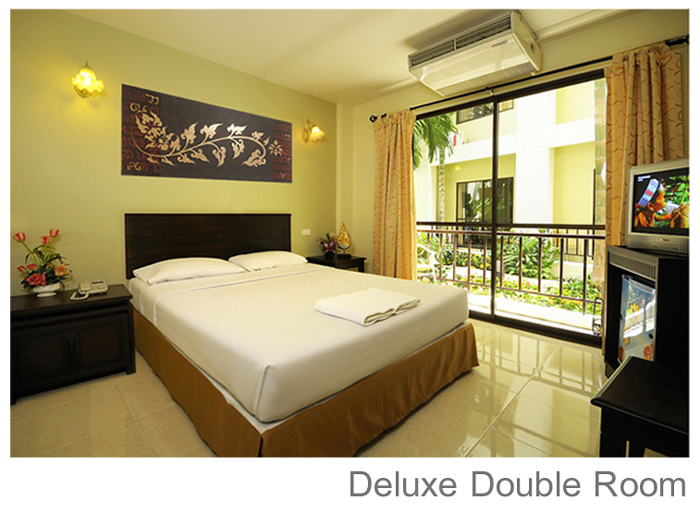 Our guest will enjoy staying in resort style hotel at budget price. 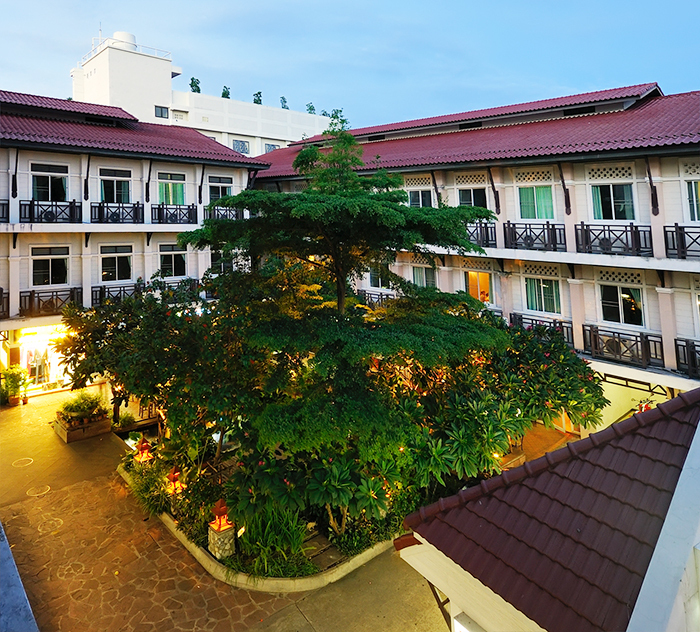 Rambuttri Village Inn & Plaza offers clean and comfortable accommodations that go easy on your budget. We also offers a range of facilities that include a first rate restaurant, shoppping plaza, travel agency, pharmacy, laundry, safe deposit box, swimming pool and many more.